Ok so I will start right from the beginning. So I had kinda given up chasing the whole having a transplant having a chance to have slightly normal life thing. Then a week before June half term we got a phone call mum answered it we just getting ready to go out as the phone rang I was already at the door. I hear mum saying sure that's fine, will she have to stay the night? I knew it was hospital regarding me have to come in. I thought great more tests and prodding and poking. I asked mum who it was, It was someone from the transplant team they want you to come in overnight, great I thought now what do they want. Did they say why? mum said they Had said something about getting listed. It wasn't one of the actual coordinators just one of the staff from the ward. So while I was out all I could think about was why they wanted me to come in? was I actually going to listed? I thought can't be as my last admission raised a lot of questions and lots of people were confused as to what was happening in my lungs. So I got home sat around for a bit them obviously went straight onto msn as usual, and of course Megan was online. Me and Megz talk about everything literally everything. So I told her about the phone call and told her I was bit worried about why they wanted me in, I was afraid they would want more invasive tests. I put my mind at rest by thinking maybe they wanted updated bloods, x-rays and lung functions and just generally re-look at things. I rang the coordinator then and he was in theatre and couldn't talk much, but he also said hopefully to get listed. Later on the day or maybe the day after I think I told Robbie I was going into hosp next week overnight he seemed so excited and nervous a bit OTT if I'm honest. I was bit like I'm only going into hospital overnight. In the run up to the Wednesday I was due to go in he was constantly talking about it asking if u was ready etc etc as if I was actually going in to have a transplant! So Wednesday morning came and I woke up got dressed packed what I needed to and headed off to hospital I arrived at about 11 and got to the ward all the cubicles were full so I had to go to the next ward they were connecting wards so was ok. I looked at the board and a name in caught my eye skinner... I thought hmm it as that much of a common name and someone had mentioned they saw rob (who's surname is skinner)in freeman Lung function department on facebook. So i was like no he can't be here he lives 300 miles away! so me and mum went to grab something to eat while ward 30 got my cubicle ready as we were walking off the ward I saw Rob's Sister. So i got back to the ward and I though ahh Rob's here and I'm going to be on a different ward... but it turned out the wards were connected, a double door connected them I was just trough the double doors at the end of ward 30 and he was just next to the doors on ward 29. I saw his sister again and decided to text him letting him know. I told mum he was here and she went to say hi. Then mum had to go home. so waited around for Doctors and nurses to come around. Rob came to say hi with his sister maria, but then I was having bloods done and they said that was all they wanted for today. Later on the transplant doctors did their round. The consultant that day I hadn't met before but he was very blunt and very negative about everything and said there was no Way he could give an answer yet and they had no idea what was happening in my lungs and whether a Transplant would actually work and it wasn't a decision to be taken lightly he then asked me some more questions and said he wanted some tests done that he originally didn't want repeated I wasn't very happy about this as they really tire me out. He wanted some special lung function tests and a 6 minute walk test. So I really was a bit gutted and didn't have my hopes high at all. I had nice evening watching a movie with Rob so that made things better. Next morning I woke up and had to go to lung function followed by the walk test straight after as results are needed for the multi disciplinary meeting at 11:30am. So my lung function was as rubbish as usual and really tired me out. I waited for results and then went straight to have my walk test with the physio which also went appalling I walked 130 meters in the 6 minutes on 6L of oxygen and still my sats where 77% my the end and I was panting and coughing like a 90 year old who had smoked 40 a day all their life. Then I got back to the ward pretty tired and eventually mum arrived with my sisters and then the TX Team came around they asked my sisters to go to the waiting room. Again the doctor was very brutal about the risks involved especially as they have no idea whats exactly happening in these pesky lungs of mine. I was thinking okay okay I get it no transplant and just wanted them to shut up and leave frankly. But surprisingly he said but now is the time to stop faffing around inventing new diagnoses we know you lungs don't oxygenate very well at all and we thing now transplant is the only way forward and it is the right choice so we are offering you a place on the transplant list. I was really shocked and felt like saying. you idiot you could've started with that! They also told me my bones were dangerously thin and I admitted myself I hadn't been taking my calcium supplements because no one had told me my bones where bad so I figured I didn't really need them. But I'm taking it now and trying to take in as much calcium as I can. So I talked to the coordinator and some other people signed the consent I also have a hole in my heart they will repair at the same time. I said bye to Rob and I headed back down to lung function for 1 more test. So I will go active once tissue typing is back and I got an all clear from the dentist and have had sum vaccines updated from the GP. I will always remember the moment you told me you would be getting listed :) You were so happy but so calm about it! 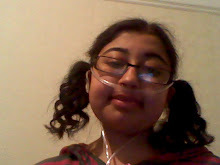 Hi this blog is all about me and my struggles with Lung disease. I was diagnosed with a a severe incurable auttoimmune disorder in 2007. the shock of this really did shake me as you can expect. This blog will follow me as I hope to find a cure.